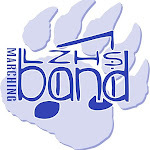 Lake Zurich HS Band: Percussion Concert 2013! Nothing fancy, Just clips from last nights outstanding Percussion Concert. Thanks LZHS Percussionists for a great show and to Brett Baxter for his fine leadership! Freshmen Percussionists-just a short clip...Sorry! Here's the Symphonic Band percussionists playing a nice Mexican Marimba tune. Very cool!